Are you anxious, depressed, feeling out of control and just don't know what to do? I can help with anxiety, self-esteem, confidence, relationship issues, bi-polar, eating disorders and OCD as well as many other issues. I offer a safe place to grow and learn, in an environment of care and compassion. I am a qualified and accredited counsellor, and work with individuals as well as couples. 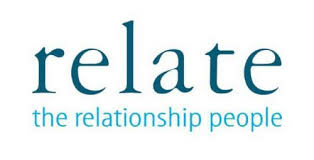 I am also a Relate trained relationship counsellor which can also help with individual issues. I will work with you the best way for you and believe that there is no issue too large or too small. If your problems make your life hard and difficult, together we can work in a way that will allow for positive changes for the better. I will be with you on your journey, using integrative skills of person centered (putting you first), psychodynamic (looking at problems that may have a route source), transaction analysis (relating to others) and other modalities if appropriate. I have training in a great many areas of counselling as well as being Relate trained in couple counselling. "Thank you for giving me back my life and for being able to accept and acknowledge myself for who I am"
"It was like looking in a mirror. I was able to see myself for who I really was and make changes in my life. Thank you so much"
I am married, with 2 older children, and have experience of all ages, stages and relationship changes. I share life’s unpredictability’s and challenges so can empathise with what you are going through. I work in a central and accessible, yet discrete Parish Center, with private rooms and flexible hours to suit you. Please feel free to call or email me for a private and FREE initial consultation. The first meeting freely given as a consultation to gain deeper understanding and to get to know one another. £40 per hour is suggested for further sessions unless financial difficulties prove difficult. “Thank you for giving me back my life and for being able to accept and acknowledge myself for who I am"
“It was like looking in a mirror. I could see my life but in a different way which really helped"
I work during the day, mainly but am as flexible as possible. I can organise early evenings for couples working individuals.